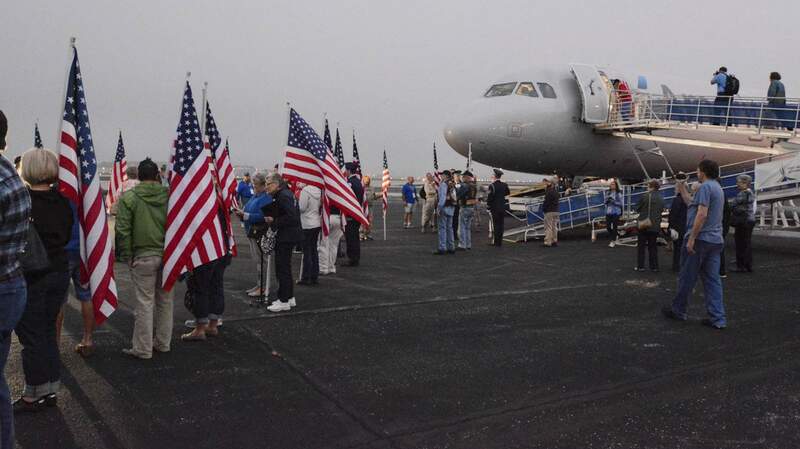 Michelle Davies | The Journal Gazette People gather at the 122nd Fighter Wing Wednesday morning to send the Honor Flight on it's way. WIth Video. Jerry Yellin stepped off a shuttle bus just before dawn Wednesday and headed toward an airliner when he was intercepted by a teenage girl. "Thank you for your service," she told Yellin, giving him a red, white and blue ornament with ribbons displaying the words "brave hero." Most if not all of the 86 military veterans boarding Tuesday's Honor Flight received the trinkets from members of a Whitley County 4-H club. Yellin's presenter likely did not know it at the time, but her gratitude was directed at the day's celebrity. 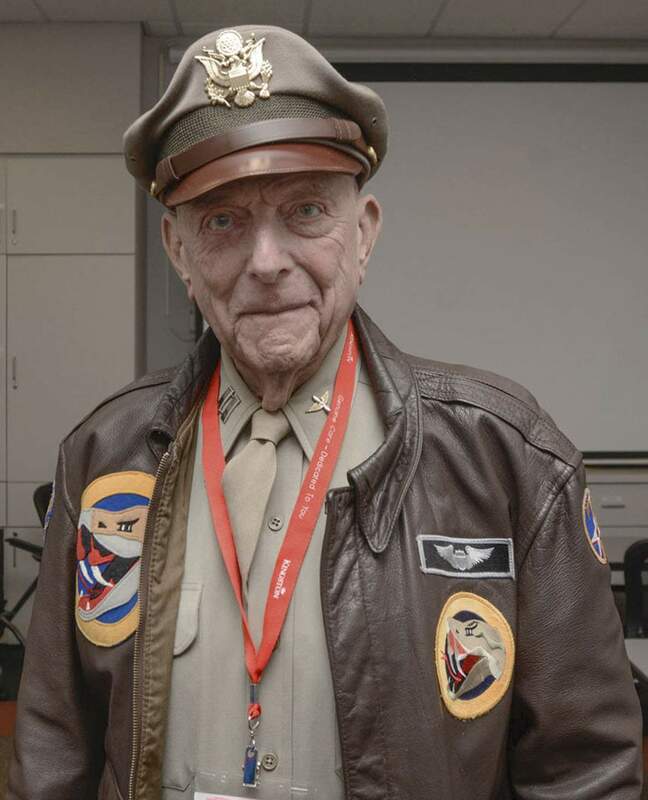 Yellin, 91, was a P-51 fighter pilot who flew the final combat mission of World War II. His wingman on August 14, 1945, Phil Schlamberg, disappeared in the attack over mainland Japan and is considered the last American killed in the war. Wednesday's trip was Yellin's first Honor Flight to visit memorials in Washington, D.C., although the resident of Fairfield, Iowa, had seen them several times before. The group departed from the Air National Guard's 122nd Fighter Wing and Fort Wayne International Airport, which began its life as a military air base during WWII. While in Washington for the day, Yellin was scheduled to place a wreath at the Tomb of the Unknown Soldier. "That, to me, is an honor beyond anything that I've ever been involved with," he said in an interview at the 122nd Fighter Wing along Ferguson Road. Yellin is the author of four books, a spokesman for Spirit of '45, which honors the WWII generation, and an advocate for aiding veterans who suffer post-traumatic stress disorder. He said he battled PTSD for 30 years after the war. "I thought about suicide, and I stopped flying fighter planes because I knew if I continued to fly, I was going to die, by chance or by choice," said Yellen, who also served in the Korean War. "I hardly could ever go up in a building, a 10-story, 12-story building, without standing by a window and thinking about jumping. 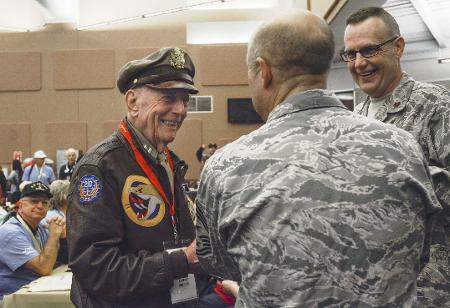 "For many, many years I spoke every night in my dreams to the 16 guys who I flew with who were killed in World War II, half of my squadron," he said. Yellin's fight with PTSD apparently did not soften his views on America's involvement in wars. "We never fought a war for conquest; we fought a war for peace and for freedom for all the people who lived in countries that wanted to enjoy that. We fought the terrorists of the day," he said. "And we have terror in the world today, and we have to fight them, because I believe that anybody – individually, collectively or religiously – who is willing to kill other people for their beliefs, to propagate what they believe, is evil," he said. "And we have that with a group called ISIS today," he said about Islamic State militants in the Mideast. "We need to eliminate evil in the world, and that's what our military does." 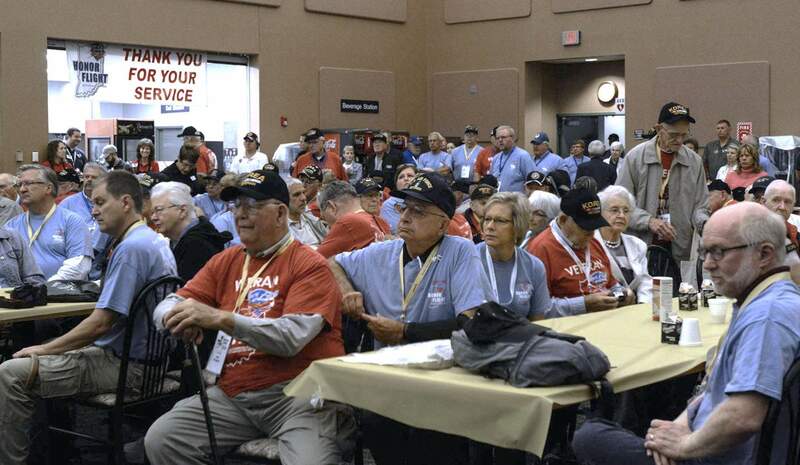 Honor Flight Northeast Indiana has flown more than 1,100 World War II veterans to Washington and back since the organization formed in 2009, according to Bob Meyer, president of the group's board. Wednesday's flight was the first in which a majority of the veterans – 61 – served during the Korean War. Col. Patrick Renwick, commander of the 122nd Fighter Wing, told the assembled veterans that they "set the stage for all the people who wear the uniform today. They look at you as their models of behavior." Yellin will speak to airmen at the base Thursday afternoon. 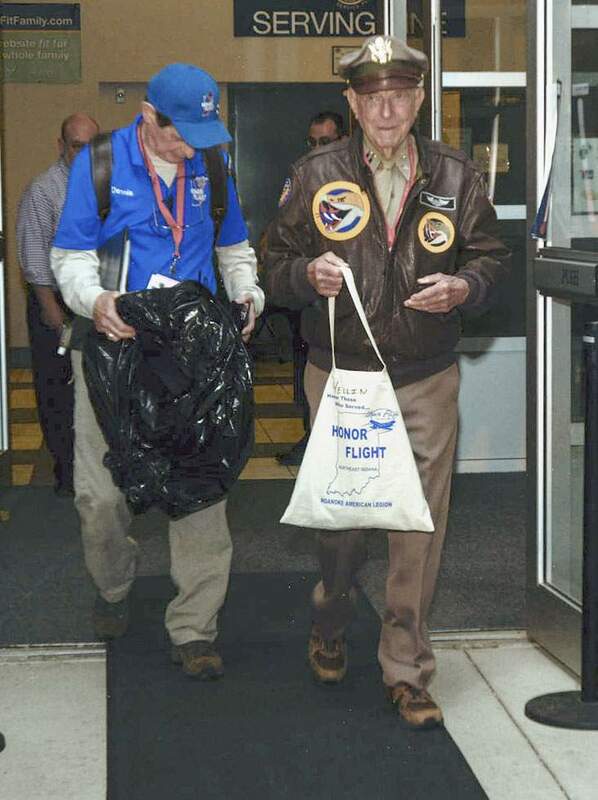 His visit to Fort Wayne was arranged by Dennis Covert, a member of the Honor Flight Northeast Indiana board of directors who met Yellin in 2010 and has kept in touch by email. Yellin on Wednesday wore a military uniform that included a shirt worn in World War II that he acquired from an Iowa museum. He said he owed his good health and longevity to never eating food that comes in a box, never drinking bottled beverages except water and running 30 minutes a day in a swimming pool. "And I have good genes," he said.